Pay a fiver and enjoy the once-a-month, Friday-fab events, which include music and family to-dos. Shopping, activities, and live music are some of the happy hallmarks of Odd Nights. The event will visit the Autry once every month through October 2019. A lovely Friday night in the second half of April? It's like a happy preview of summertime, of what's soon to come, and it bears all of the little blisses that the warmest season so easily delivers. Add to that scene a museum-adjacent affair, one that only costs five dollars to enter, a Griffith Park-based party with live music, craft-tastic booths to shop, and a welcoming heart to the tail-waggers in our worlds, and you've almost got summer in a bottle. Ready to sip at that, on Friday night, April 19? 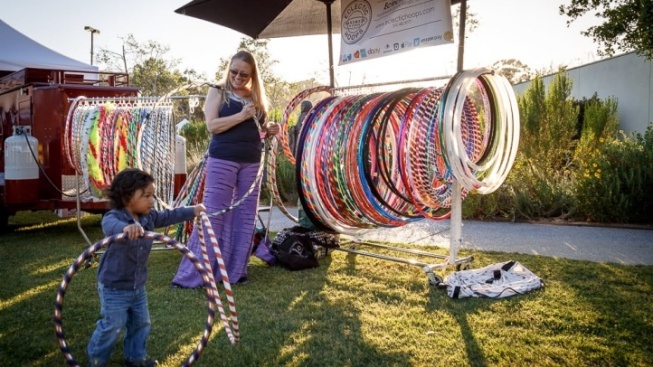 Make your way to the Autry Museum of the American West for the monthly Odd Night, which, yes, does boast "oddities" as well as vintage goods for sale, food trucks, and stuff for kids to do. That stuff includes a "Huge Kids Area with Rock Wall" as well as a toddler swing, if your tots need to shake off the energy of the week. Live tunes, as well as DJs, are at the thumping, dance-it-out heart of the Odd Night, but if you want to do the whole kick-back thing, you're invited to show with a blanket or lawn chair. There's a lot happening, in short, beginning at 6 o'clock. And a lot still to come, since the Odd Market'll pop up, every third Friday night, through October 2019. Did we mention it is five dollars to enter? We did? Cool. Just be sure to have that in cash, if you want to skip buying in advance. Showing at the door with your dollars is a-ok, too. After all, the Odd Night is, well, a touch odd, in the most whimsical sense, and an easy-breezy approach to getting the weekend started is part of its vibe. As is, yes, bottling a touch of summer magic, while we're still here in the middle of spring.